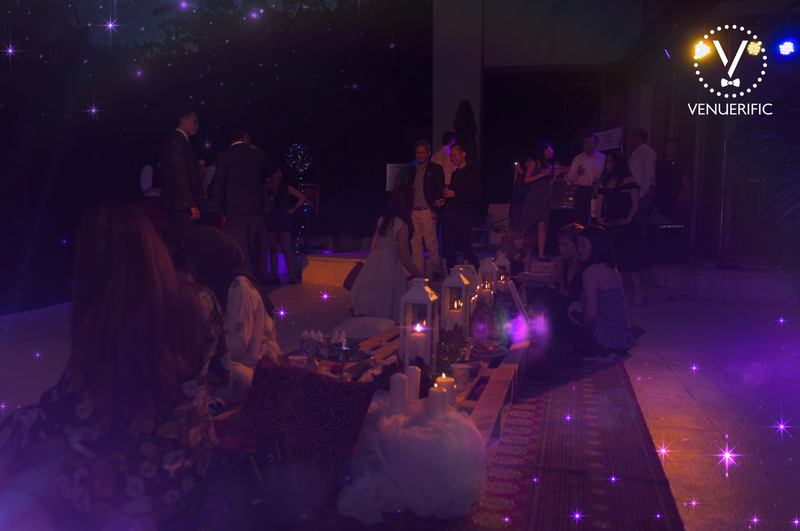 A starry, Mediterranean night at a luxurious mansion with captivating belly dancing performance, exotic lighting and glamping set-ups coupled with pamper services & insightful tarot card reading. 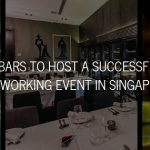 An opulent mansion in Sentosa calls for a lavishly posh shindig which was exactly what Venuerific brought to the table. 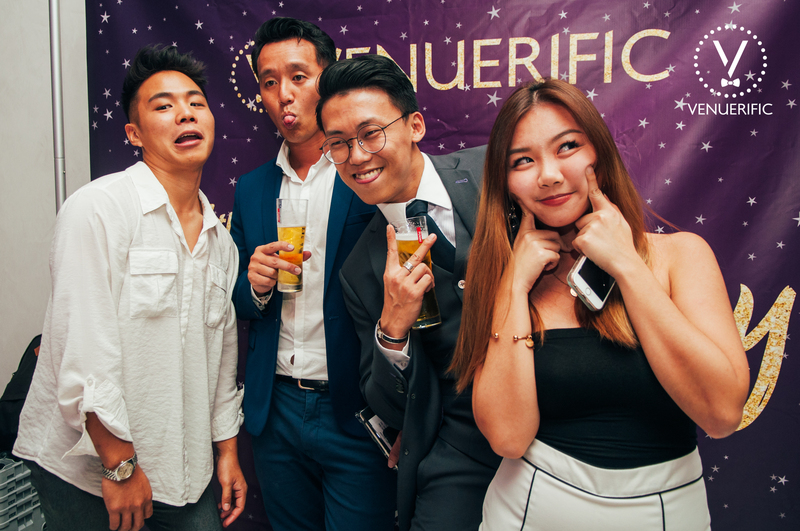 Known for its flashy themed parties and extravagant turn out, this year’s highly anticipated anniversary party of the year was nothing short of the latter. 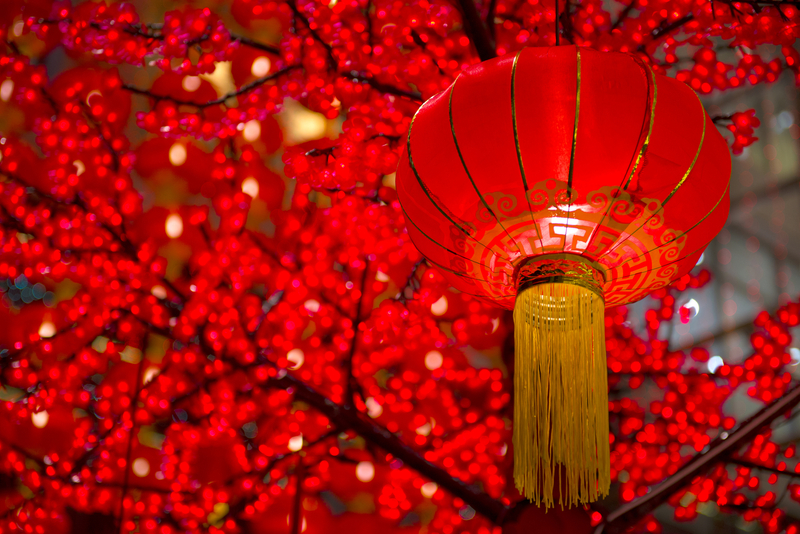 Here are some of the highlights of the magical night! 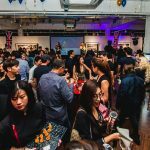 This by-invite-only party was swarmed with over 250 guests who were given a one-day code by GRAB to transport to and from the party! 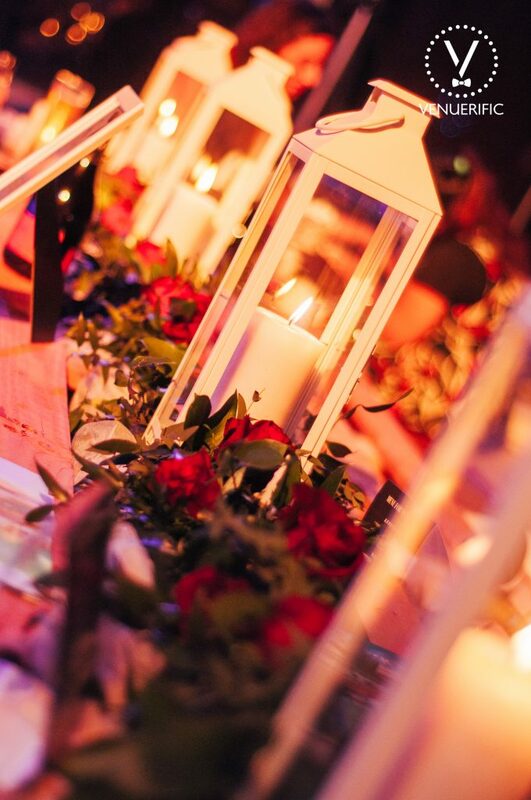 A night of exclusivity and mystery, the mansion was adorned in beautiful mediterranean lights by Costume Star. It especially brought the atmosphere to life. 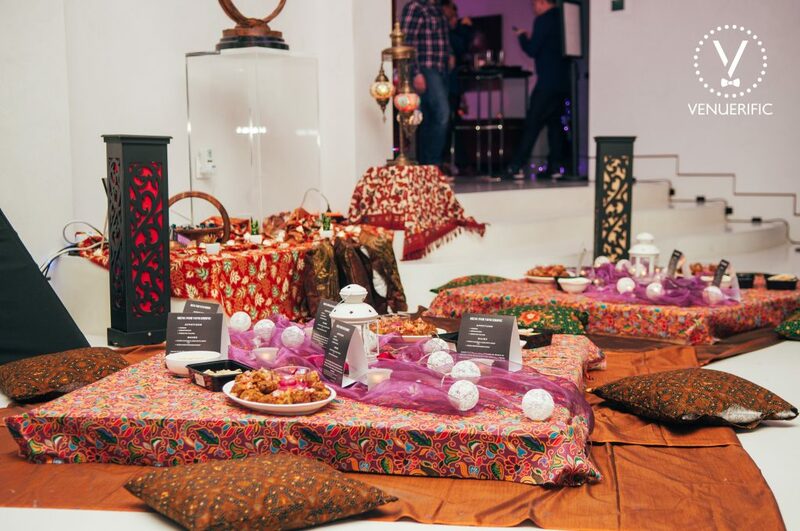 The candled mosaic lamps bedecked the tables and provided a warm and inviting setting. 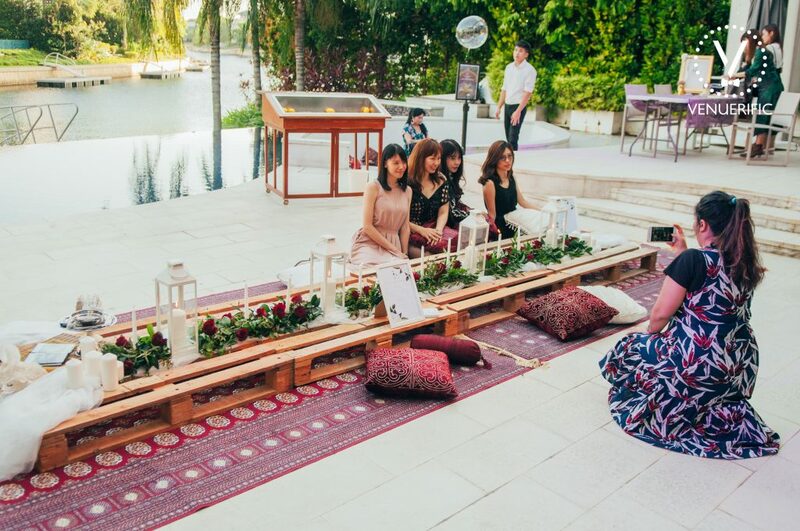 Amplifying the ambience of the Mediterranean theme were the glamping setups by firstly, Eaqlia Studio; batik printed tapestries along with a faux greenery backdrop (Indoor). Secondly, PlanB.Co; deep red moroccan carpet, pillows and a grand floral arch to welcome guests to their lounge area (Outdoor). 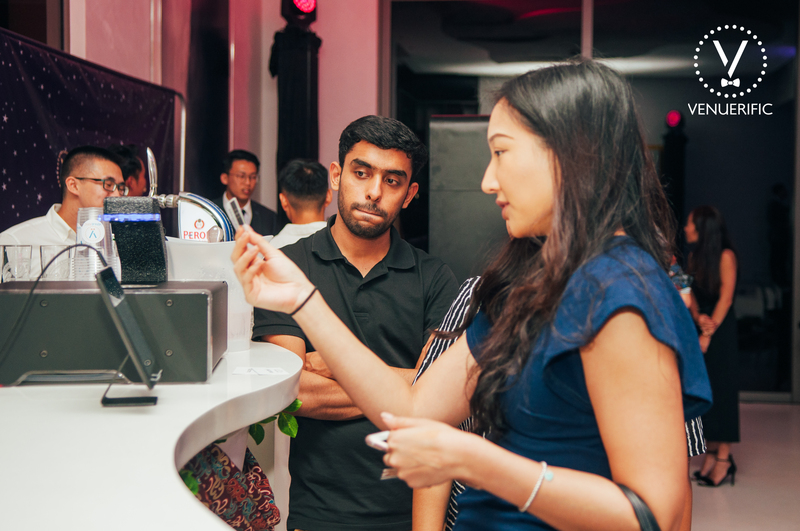 The guests were greeted with celebratory drinks from a unique automated digital bartender courtesy of Sous Chef. 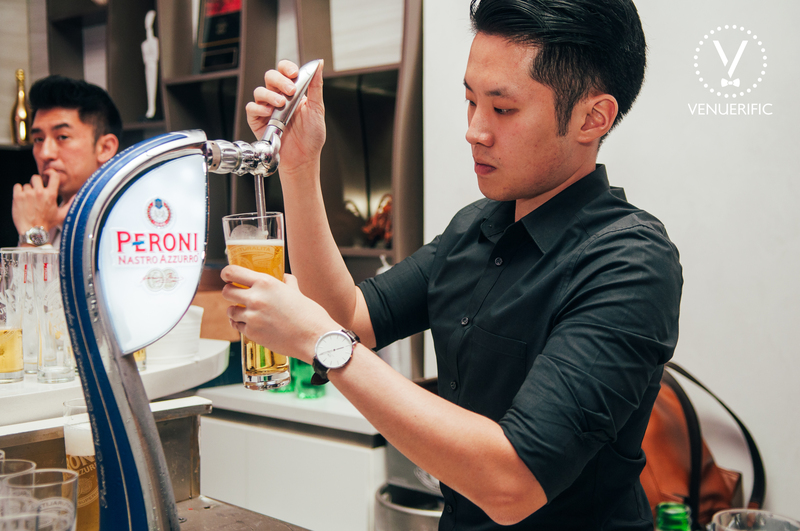 Along with that, a free-flow of beer by the established 6dm. 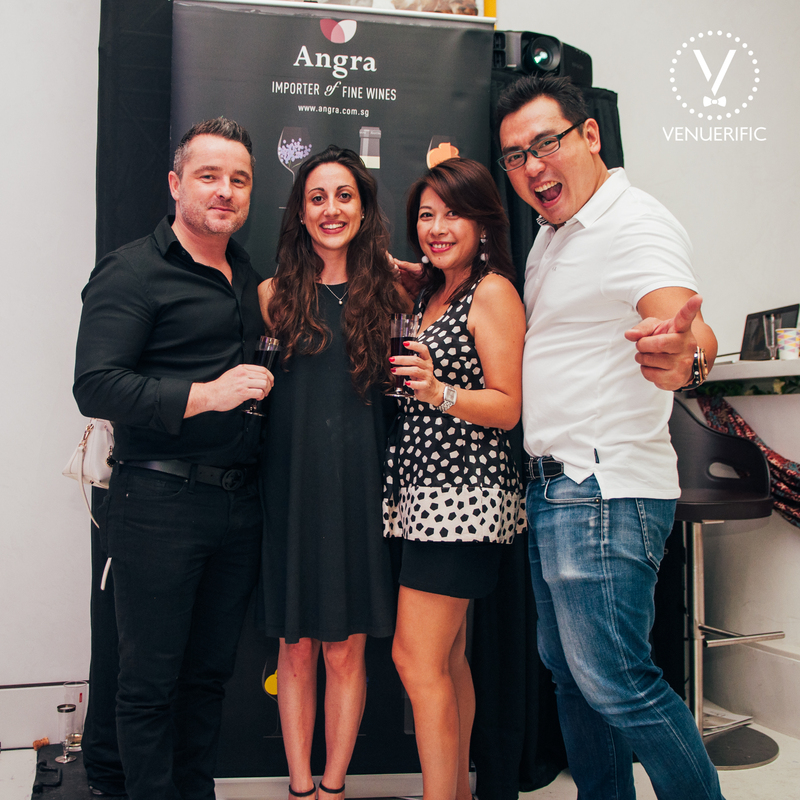 Finally the finest wines imported from Italy by Angra Wine & Spirit. 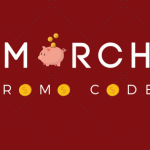 Only the best for our attendees! Venuerific’s Party, much like always, serves good food! 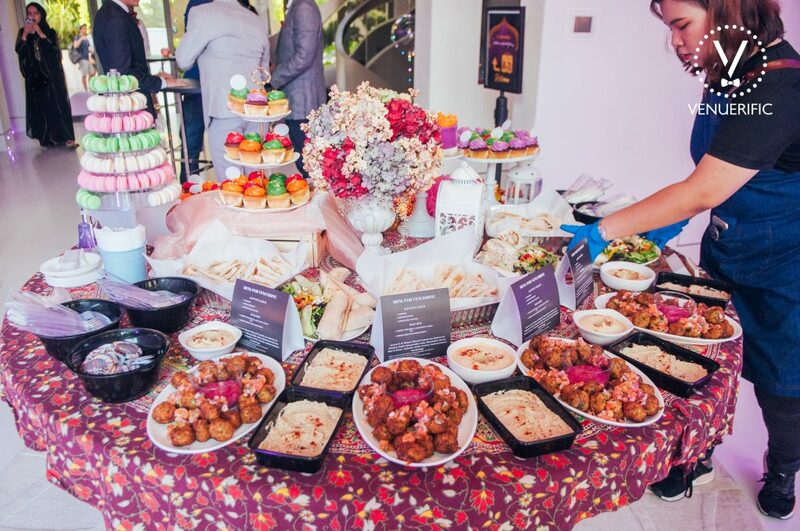 Befitting the theme, Miska Cafe put out platters of Mediterranean cuisines & savoury canapé delicacies. 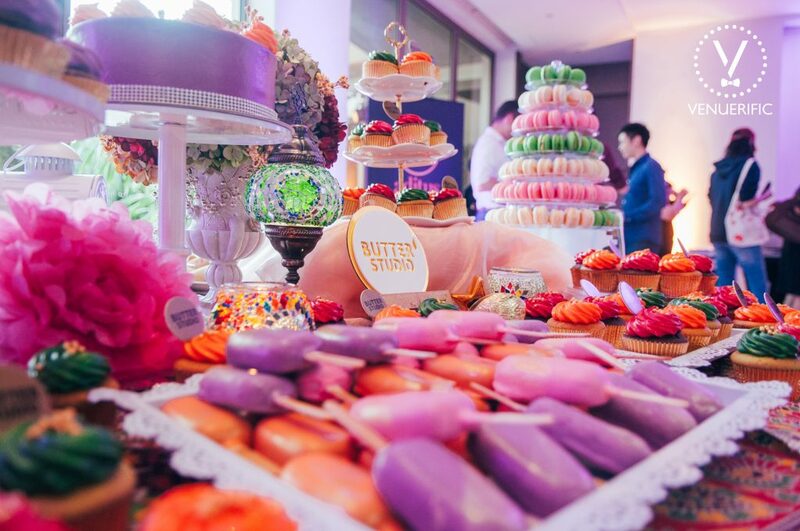 Sweet cravings on a Friday were satisfied with Butter Studio as they laid out all their stunts for the bite-sized artisanal desserts that were aesthetically displayed, which if you were there, you would understand why it became a conversation starter. 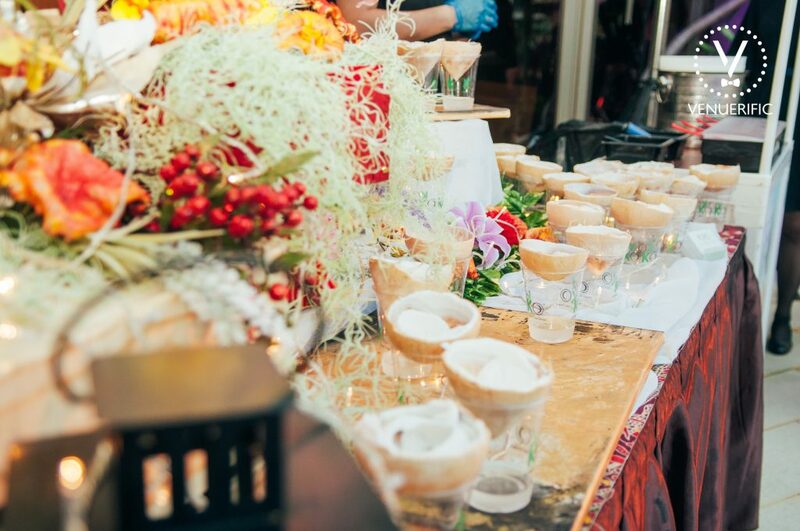 Our guests were also treated to premium coconut ice-cream at the KOKO Ice-Cream Bar. 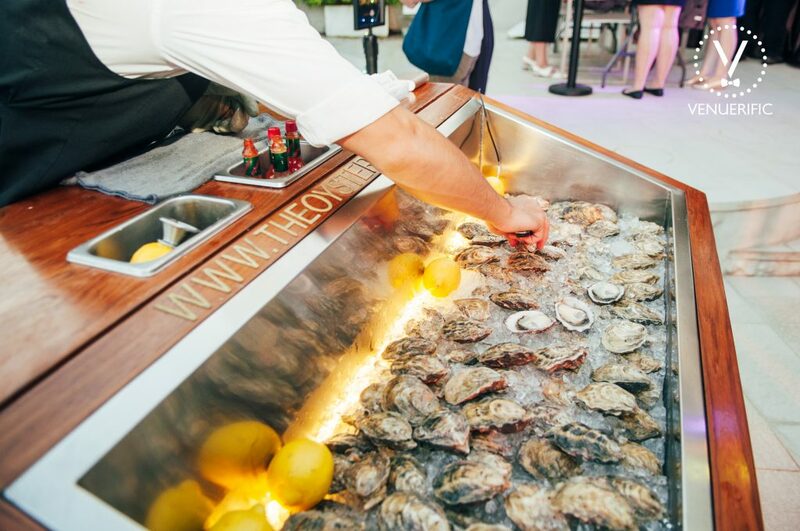 Of course, given that it’s a Coastal Getaway, we had to have an exclusive mobile Oyster Cart that was aptly stationed at the poolside. 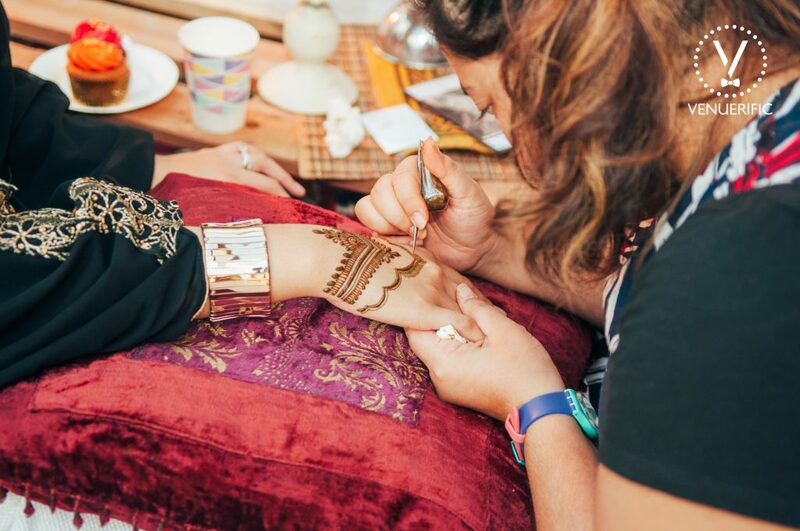 Every corner of the room was filled with pampering services for our attendees from nails, braid to henna bars. 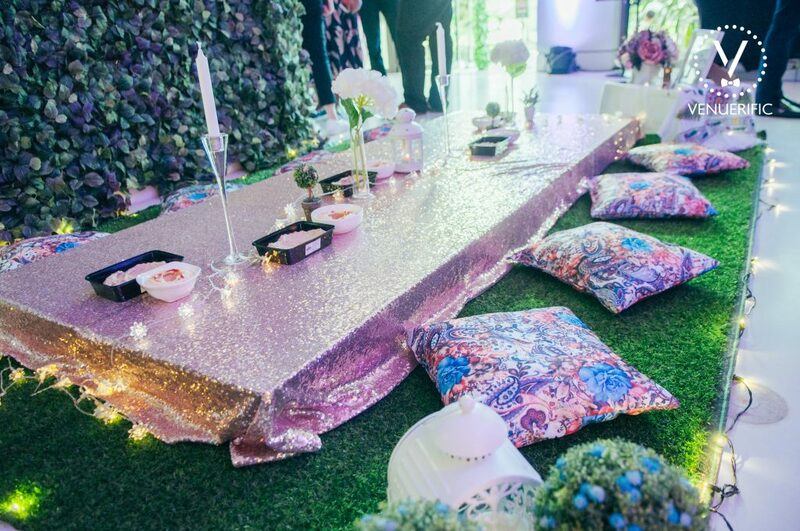 Boo-ti Parlour provided express gelish manicures, Zubha Henna had guests swooning over the mehendi designs where ladies were walking around with intricate white and glitter henna designs! 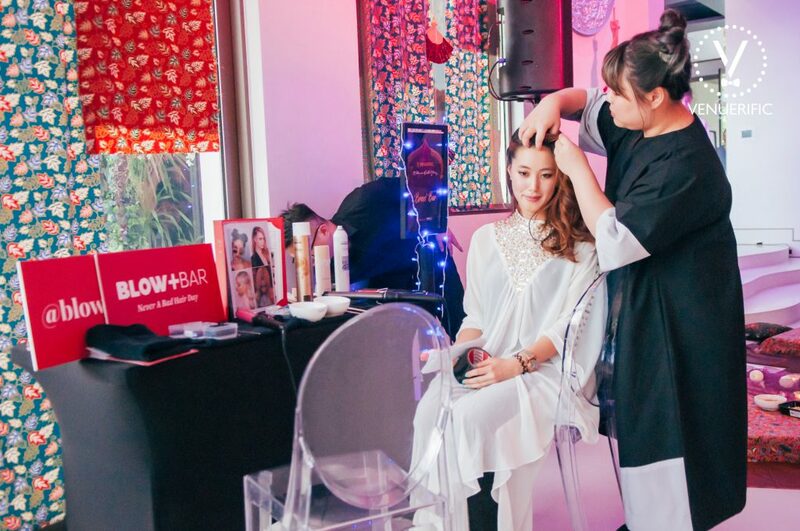 Thanks to Blow Plus Bar, the ladies had bouncy curls and glitter-infused voluminous braids. 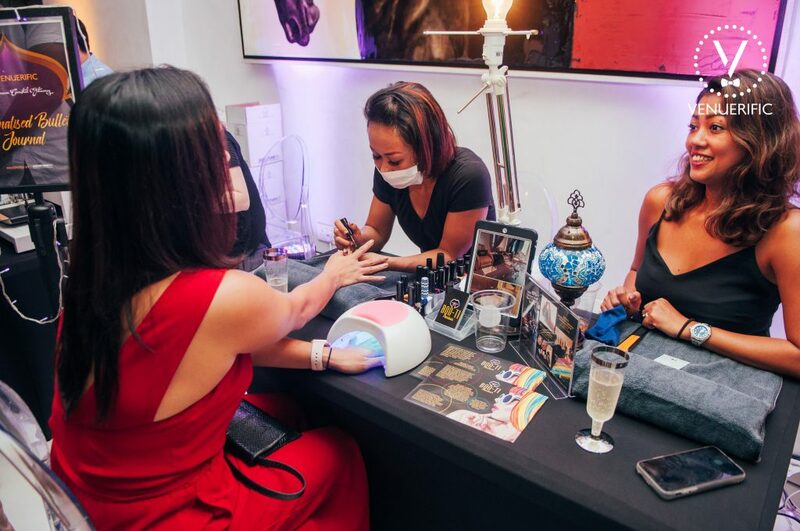 For those who were looking for a more thorough pamper service, Cloud9 provided a therapeutic neck massage at the basement level of the mansion for a more private relaxing and rejuvenating session. As the vibe kicked in further into the night, the entertainment came more alive. It would not be a mediterranean party without some sultry belly dancing. Angelina Tay, the top ten finalists from the Miss Singapore pageant 2007 and also founder of the School of Bellydance strut her stuff and captivated the audience with her flirty performance. They say that Curiosity kills the cat but it also drives determination. 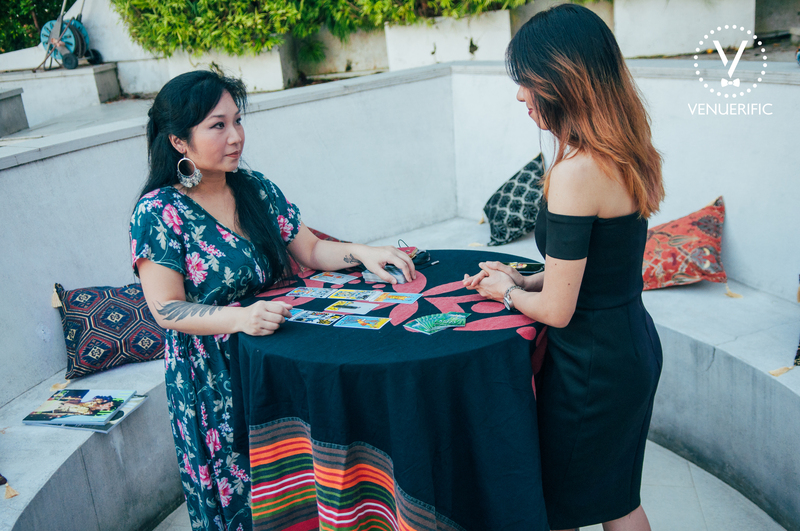 Guests got a chance to receive Tarot reading by Kelly Light Worker and get in touch with their spiritual side. 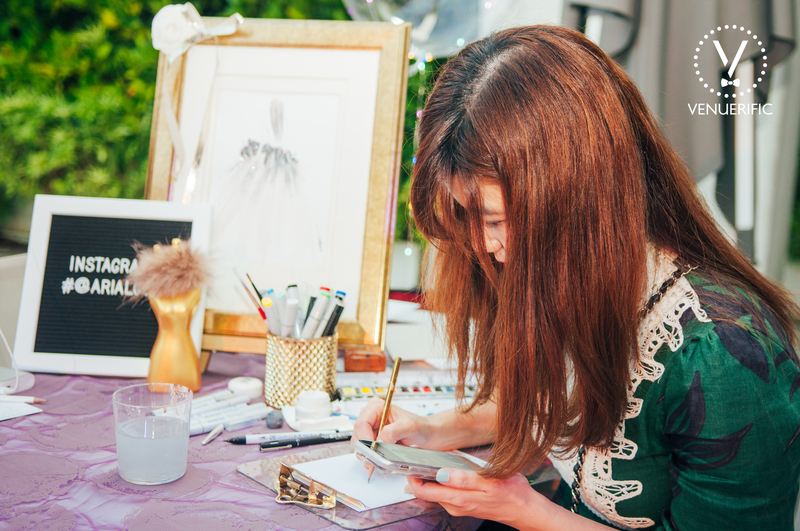 A live illustration by the ever-so-talented Arial Goh was where people got a chance to see themselves being interpreted on paper! 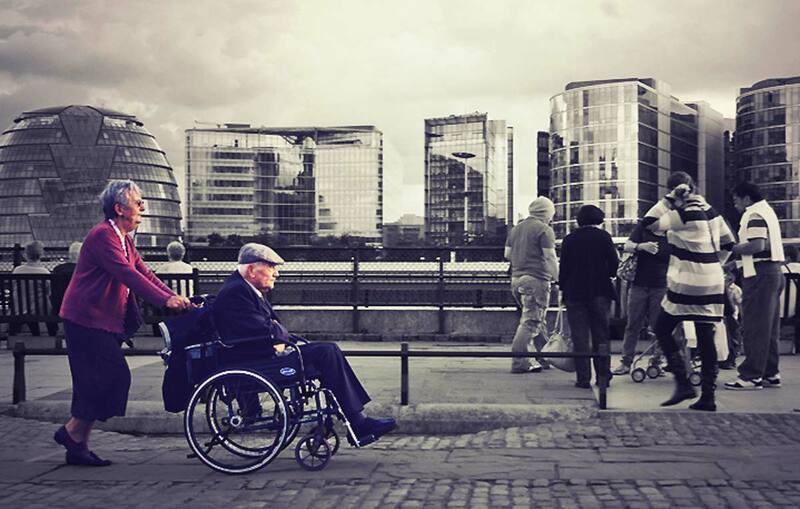 Amazing what a mix of watercolour, sturdy strokes & a creative mind could produce. 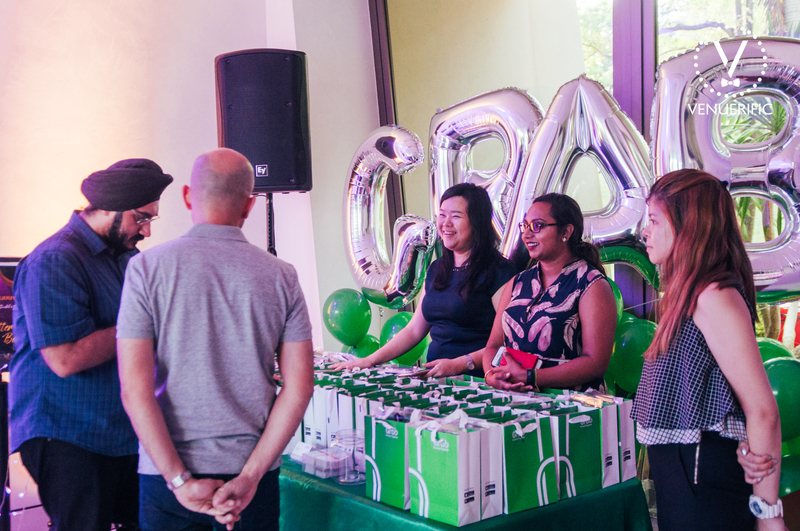 Would it really be party if not for the attractive giveaways? 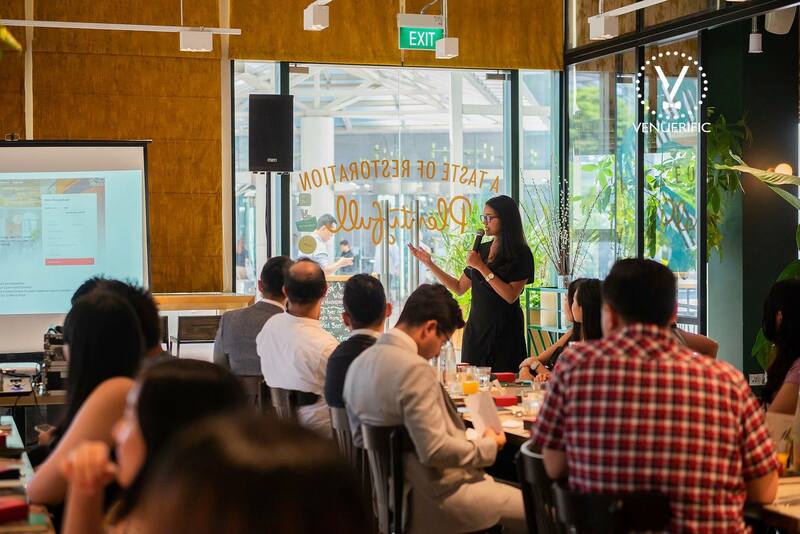 Winners from our lucky draw walked away with fab prizes which included a 3D2N staycation at the beautiful Forest City by Country Garden and more. 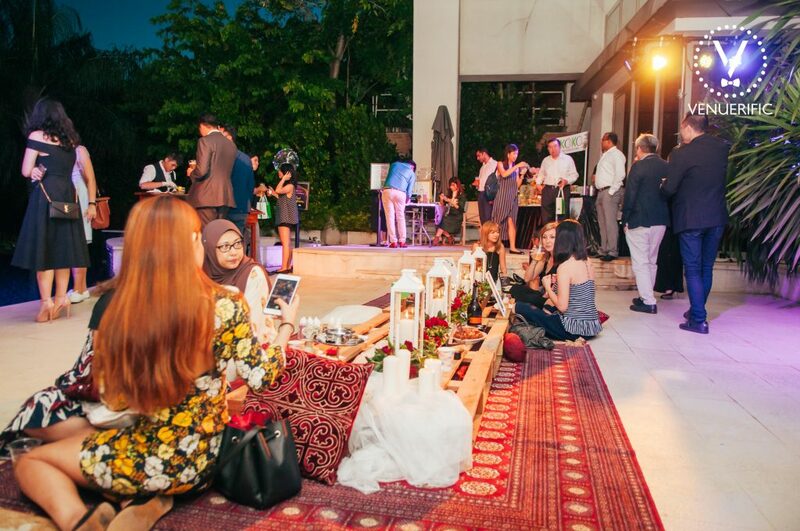 In tune with our slogan, Celebrate Anywhere, a photobooth courtesy of Etched was provided for our guests to capture their special moment on the mystical & exotic mediterranean night. 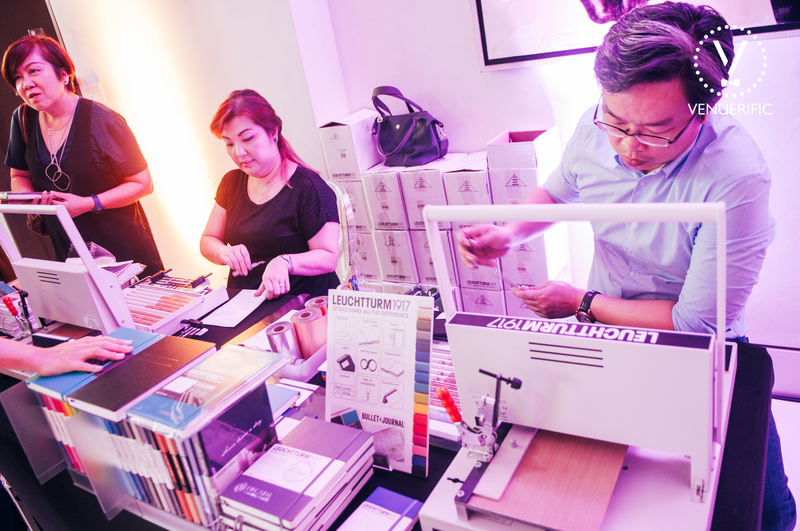 Personalised Bullet Journals from CAY Group–Leuchtturm1917 were our gifts to our guests! No guests of ours were to leave empty handed! 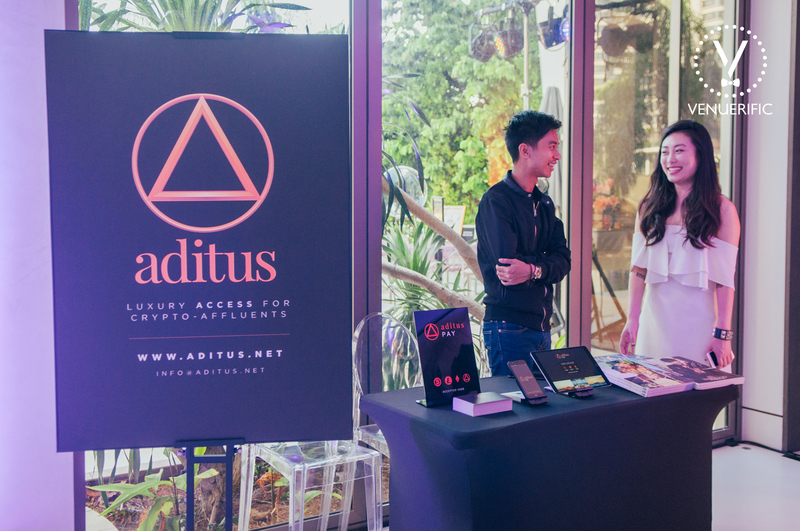 Our attendees had a hand to dive into the realm of krypto-currency by Aditus. 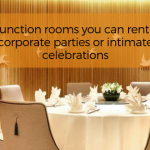 It may come as no surprise that Venuerific’s parties are off the charts. Much like this year’s and the ones before, our next one is only going to get bigger! 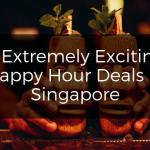 No idea how we’re gonna top this one, but rev up for our upcoming parties! 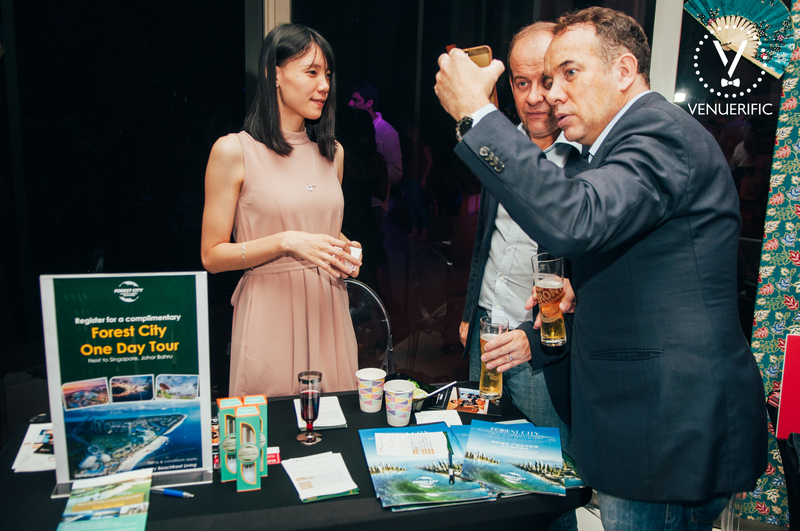 Special thanks to our sponsors & our lovely guests for gracing our 5th Year Anniversary Party this year!